Standard Names: There are many species of Garfish, the most commonly marketed being Southern Garfish, Snubnose Garfish, Eastern Sea Garfish, Shortnose Garfish and the Three-by-Two Garfish. 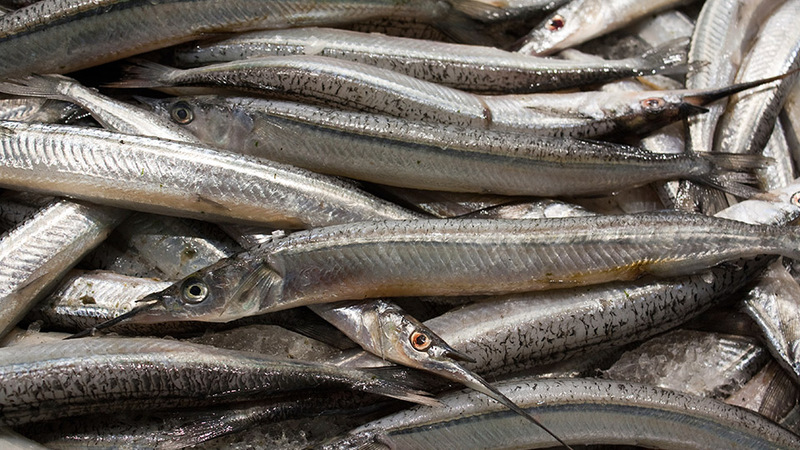 Australia’s largest commercial garfish fishery is the Southern Sea Garfish fishery based off SA. Various Garfish species are caught using inshore netting methods in all the states. They are available year round, with the supply of Southern Garfish peaking from March to May. Garfish are small and rather tasty. They can be filleted to produce attractive boned-out, butterfly fillets, which are exceptional for delicate dishes. Ask your Conway fish monger to butterfly them as they can be somewhat bony. However, Garfish cooked whole flakes easily from the central bone structure. BBQ, Grill or Panfry. If Deepfrying, coat in a batter or crumb to protect the delicate flesh. Very fresh Garfish fillets make excellent sashimi, serve raw with a citrus and soy dressing. Thereâ€™s not so much disagreement but regional scale differences in how stocks are faring around Australia. Garfish are caught in bays, estuaries and coastal waters and have limited home ranges, meaning there are possibly lots of separate stocks that are hard to assess collectively. South Australia has the largest fishery but is currently at its lowest historical catch, while Victoria and NSW have moderate sized fisheries. Because they are an inshore coastal species, stock declines are likely related to changes to coastal environments along with fishing pressure. In particular the loss of seagrass beds (which they eat and also use as breeding and nursery grounds) is likely to have reduced stocks in many coastal bays and estuaries.